Tim Fields is an experienced practitioner in litigation and insurance defense. For more than thirty years, Tim has represented clients in their civil litigation matters including personal injury defense, railroad, transportation/trucking, insurance coverage/bad faith, medical malpractice, construction defects, products liability, toxic exposure and environmental, and FELA. His practice also includes nursing home/hospital/healthcare litigation defense, complex multi-party litigation, commercial, and intellectual property disputes. Tim serves as lead trial counsel for a number of national companies, and he has successfully tried to verdict numerous jury and bench trials. His undergraduate degree in engineering provides a useful background for litigating lawsuits involving technical or engineering issues including products liability, construction cases, accident reconstruction, and environmental/soil contamination issues. Benchmark Litigation selected Tim as a Litigation Star in New Mexico and Southwest Super Lawyers® has named him one of the Top 25 New Mexico Super Lawyers. Tim has achieved an AV® rating from Martindale-Hubbell, the highest rating possible based on a peer review. 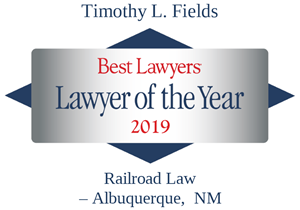 He has been continuously recognized by Best Lawyers of America® since 2007 and was named “Lawyer of the Year in Railroad Law – Albuquerque” in 2019, 2017 and in 2012 by Best Lawyers. Tim currently serves as President of Modrall Sperling, Co-Chair of the Railroad/Transportation Industry Service Group, and is a member of the Executive Committee. 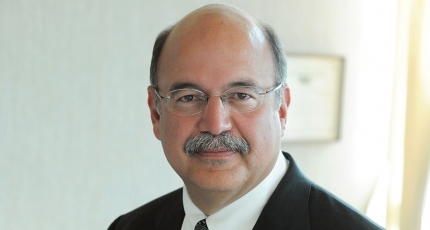 He has served as the firm’s Vice President, and Chair of the Litigation Department, the Tort/Product Liability/Railroad Practice Group, and the Recruiting Committee. Successful appeal for nursing home, the New Mexico Court of Appeals overturned what had been New Mexico’s largest personal injury verdict of $53.2 Million ($3.2 in compensatory, and $50 Million in punitive) in a case involving a woman who died in a nursing home. The Court of Appeals decision was appealed to the Supreme Court and the case settled after the Court granted a writ of certiorari. One of the lead counsel for the Modrall Sperling defense team representing nursing home. See Keith v. Manorcare, Inc., 218 P.3d 1257 (2009). Represented trucking company and landfill operator in administrative permitting compliance action before the New Mexico Environment Department and in negotiations of future permitting for hazardous and non-hazardous waste disposal. See NMED v. Lea Land, Inc., et al., No. SWB 08-18 (CO). Represented out-of-state corporations in successfully challenging personal jurisdiction. See Dingle v. Crane Care, Inc., et al., No. 1:09-cv-00388; Fireman’s Fund Ins. Co. et al. Thyssen Mining Construction of Canada, Ltd., et al., Case No. 10-cv-00401; and Willis v. Government Employees Insurance Company, et al., Case No. 13-cv-00280. Represented insurance companies in bad faith and commercial general liability coverage lawsuits. See Mountain States Mutual Casualty Company v. Southern Colorado Construction et al., Case No. 09-cv-314; Mountain States Indemnity Co. v. Advantage Asphalt & Seal Coating, LLCI, CV-2009-02107; Cincinnati Specialty Underwriters Insurance Company v. Albuquerque Navajo Lodge, et al., Case No. 15-cv-00572; and Carl Kelley Construction, LLC v. Village of Cloudcroft, et al., Case No. D-1215-CV-2010, 00926. Successful summary judgment for St. Vincent Hospital. Helene Tapia v. St. Vincent Hospital d/b/a CHRISTUS St. Vincent Regional Medical Center, Case No. D-101-CV-2013-01492. Three consecutive defense verdicts in Santa Fe District Court. William P. Gladwell v. BNSF Railway Company, Case No. D-101-CV-2010-02799; Manual Acosta v. BNSF Railway Company, Case No. D-101-CV-2011-02741; and Clifford E. Gladwell v. BNSF Railway Company, Case No. D-101-CV-2010-03660. Three recent summary judgments. Robert E. Martinez v. BNSF Railway Company, Case No. D-1314-CV-2013-00658; Clinton Plant v. BNSF Railway Company, Case No. D-1314-CV-2014-00457; and Helen Lopez, Personal Representative of the Estate of Andrew Philip Vigil v. Union Pacific Railroad Company, Case No. D-101-CV-2015-02691. Numerous presentations to client groups on multiple litigation topics.